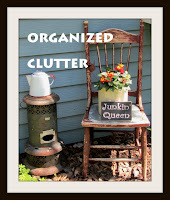 Last October I picked up a wire basket with two zinc pots at a consignment shop for $3. It had a couple tired looking faux flowers glue into the bottoms with styrofoam. After a lot of heating the glue with a hair dryer and trying pinterest hints to remove glue, I finally accepted the fact that all the glue and styrofoam would never, ever come out. 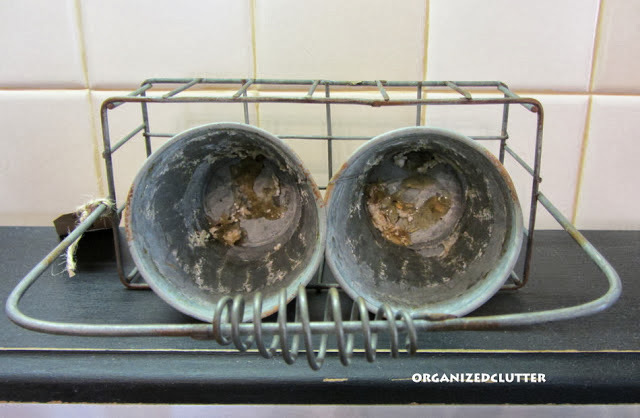 But no matter, I have used the little zinc pots over and over and over! They have become one of my go to decorating accessories. 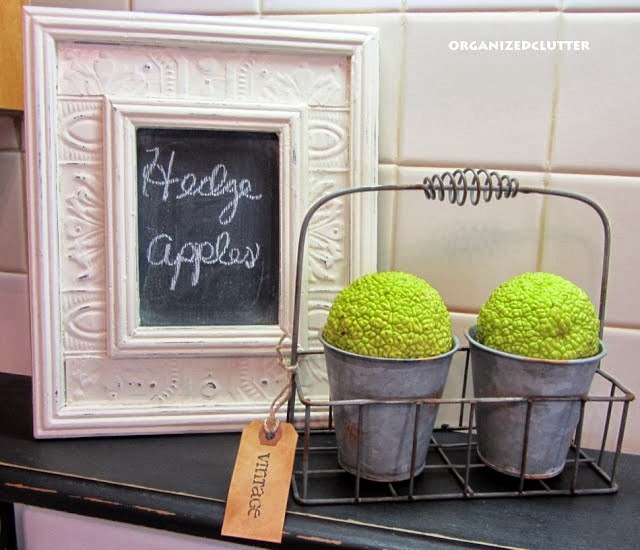 The zinc pots first appeared here with fall Hedge Apples. Only to reappear right away at Christmas holding two bottle brush trees here. The pots and wire basket were separated at Easter to hold my button egg and Spanish moss here. And the other zinc pot held a Sixlet bouquet in an Easter basket here. The basket worked for displaying a few of my vintage Bibles here. From Easter vignettes to a spring vignette in the kitchen with faux greenery here. And finally back into my early fall mantel display here. 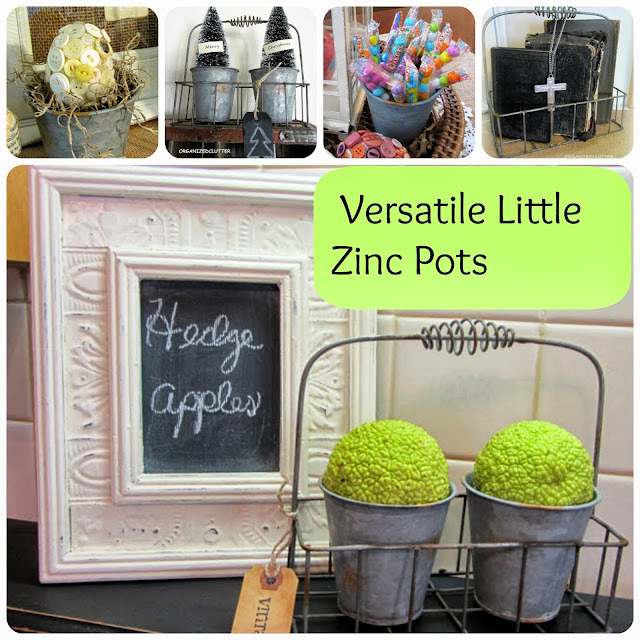 Chances are the little $3 zinc pots in a wire basket will end up in my Christmas decor again as well! I love it when you can re-use little finds like this. Every vignette was lovely! Love the zinc pots and the metal basket!! They looks great no matter which season it is. I love the pots too Carlene! I have two of them I use all of the time. No cute holder like yours though. Such a nice item to have and decorate it so many different ways. Looks so nice everywhere you have used it.